To the delight of American drivers, gasoline prices are continuing to slide downwards. The national average price of gasoline hit $3.35 per gallon at the end of September, which is about 14 cents lower than at the same time a year ago, according to the U.S. Energy Information Administration (EIA). Better yet, gasoline prices could drop further in the coming months. In recent years it has become commonplace for many drivers to see a gallon sell for well over $4 per gallon. Why have gas prices dropped to such low levels all of a sudden? There are a complex set of factors that determine the price at the pump, but the largest contributor is the global price of crude oil. Oil prices have plummeted by more than 17 percent since peaking in June of this year, when the Islamic State, also known as ISIL, overran much of Iraq and sparked fears of major disruptions in oil supplies. But with the advance of the Sunni jihadist group slowed, if not contained, concerns over oil eased and prices pulled back from their highs. Related: Is This $7.6 Billion Deal A Sign of Things Coming? And there were also positive contributions to global oil supply. For example, after violence that kept most of its oil production offline for over a year, Libya’s oil fields have suddenly roared back to life. Although exact data is murky, and instability could yet plunge Libya’s oil sector back into a state of despair, Libyan officials are reporting that the country is now pumping around 900,000 barrels per day (bpd). Of course, the largest supply shock comes from the United States, which continues to reach record levels of production. The U.S. is now producing over 8.8 million (bpd), the highest rate since the mid-1980’s. The EIA projects that the upward trajectory will continue, with output reaching 9.5 million bpd in 2015. Then there are demand issues. Europe and China are reporting disappointing economic figures, suggesting their economies are slowing down. In August, China’s industrial growth slowed to its lowest level since the financial crisis in 2008. A sluggish economy results in less oil being consumed. The U.S. economy has fared better. In fact, the U.S. is coming off of its strongest quarter in over two-and-a-half years. Even still, the U.S. consumes around 19 million bpd of petroleum products, which, while highest in the world, has essentially been flat since 2008. That is largely due to increased efficiency in the nation’s auto fleet. New cars sold in the U.S. average about 36 miles per gallon, compared to the 31.5 miles per gallon new cars achieved in 2008. Federal standards on fuel efficiency will continue to ratchet up efficiency over the next decade, setting up the possibility for a decline in fuel demand even while the overall economy continues to grow. Taken together, the supply and demand pictures support lower oil prices, which trickle down to the price at the pump. So what can we expect from gasoline prices in the coming months? 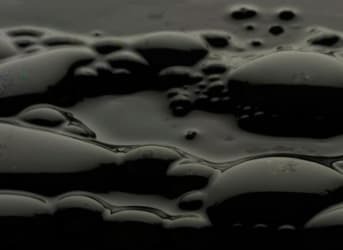 Futures prices for Brent – the international benchmark for crude oil – are not much different than today’s prices, indicating that the markets do not expect a substantial change in prices for the months ahead. OPEC has flirted with the idea of cutting back on oil production in order to boost prices. Iran, whose economy is largely dependent on oil exports, is growing concerned about the situation. “Considering the downward trend in prices, OPEC members should try to temper production to avoid further price instability,” Iran’s oil minister, Bijan Zanganeh, said on a government website. Related: Is U.S. Gas Really Expensive, And Will It Get Cheaper? But OPEC has not yet made a decision, and in any case, a cutback would not occur until next year at the earliest. Iran is also negotiating with Europe and the United States over its nuclear program. While progress has stalled, if the West and Iran can reach a deal before the November deadline, it could lead to a thaw in relations. Consequently, Iran could see some of its oil exports return to the global market. Iran has seen its exports more than halve since 2012, and the prospect of a return of more than 1 million bpd to the market would send oil prices even lower. Still, the chances of such a sweeping deal are considered slim. Nevertheless, autumn months bring a more predictable change to the fuel supply. That is when refiners switch from their summer to winter blends of gasoline, which tend to be cheaper. Also, people tend to drive less as summer vacations end. As a result, gasoline prices tend to fall beginning in September. With supplies continuing to rise and demand flat, lower gasoline prices could stick around for a while. Is U.S. Gas Really Expensive, And Will It Get Cheaper? It is amazing as just a short while ago we were clamoring that $3 gas was extortion. I bet a few years from now we will be thinking a drop to $4 will be a good sign. Nick are you living in fantasy land? "U.S. average about 36 miles per gallon, compared to the 31.5 miles per gallon new cars achieved in 2008"!!! The average new car fleet get mileage in the 20's. "To the delight of American drivers, gasoline prices are continuing to slide downwards. The national average price of gasoline hit $3.35 per gallon at the end of September, which is about 14 cents lower than at the same time a year ago, according to the U.S. Energy Information Administration (EIA)"!!! Come to BC Canada where we are paying $5.80/gallon, the same as when oil traded for $150/barrel. A trip to BC Canada should remove from your perspective the nonsense you wrote above.